Help us decide what to build into Medical Spa MD! 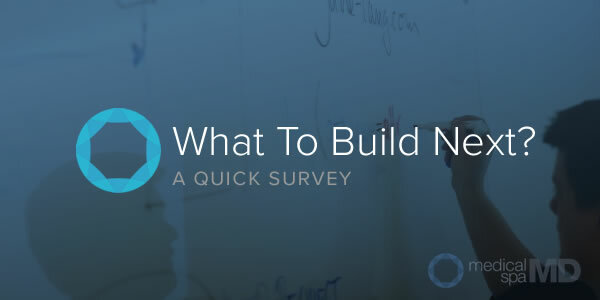 Take the 1 minute survey below and let us know what you want most. Then we'll build it. From time to time we reach out to the community to help set the agenda and uncover what is uppermost in everyone's mind. This is one of those times. The button below launches a quick, multiple choice survey to get your opoinion and thoughts on what you're most interested in so that we can focus on providing that information. Take a moment and share. This survey should take you about 1 minute to complete.